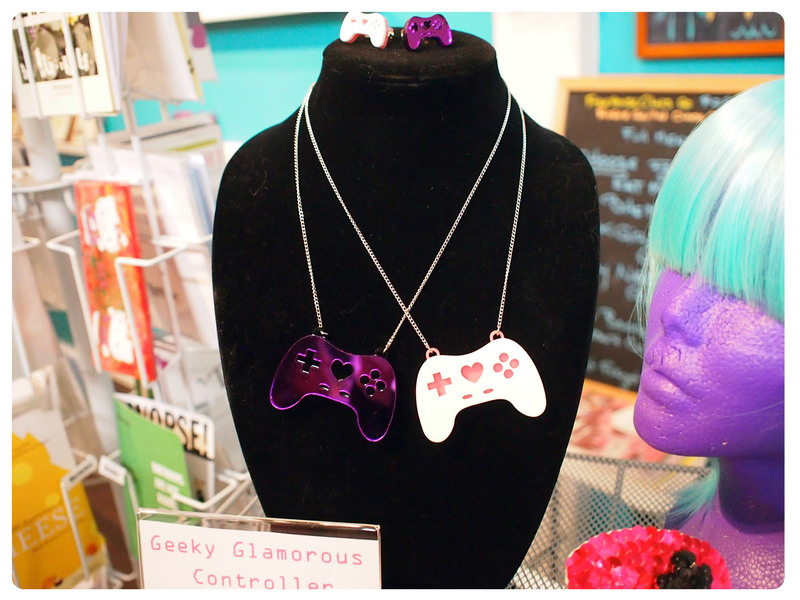 In addition to both putting on the art show and blogging, Mandie also creates some great geeky accessories, and we had the opportunity to check some out in person. 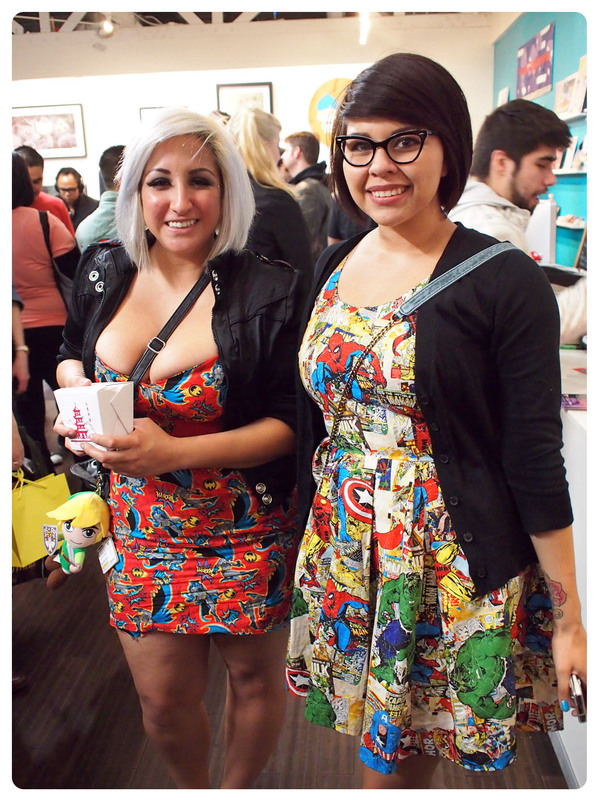 Of course, our favorite part were the great geek chic outfits we spotted. There was a great mix of hand made outfits and licensed outfits. 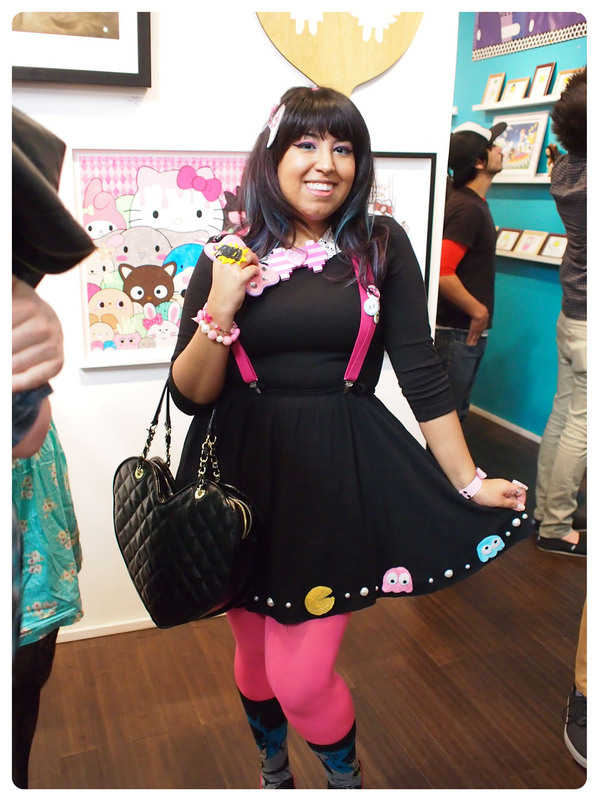 Loved the way she styled this Lazy Oaf Batman bodycon dress. Immediately noticed this killer hem design. Black Milk Storm Trooper dress layered with a cute skirt, and topped off with a glittery Millennium Falcon hairpiece and bracelet. Adorable handmade dress using Marvel fabric. Black Milk Artoo and Threepio leggings and an adorable AT-AT necklace. Two more great handmade dresses. 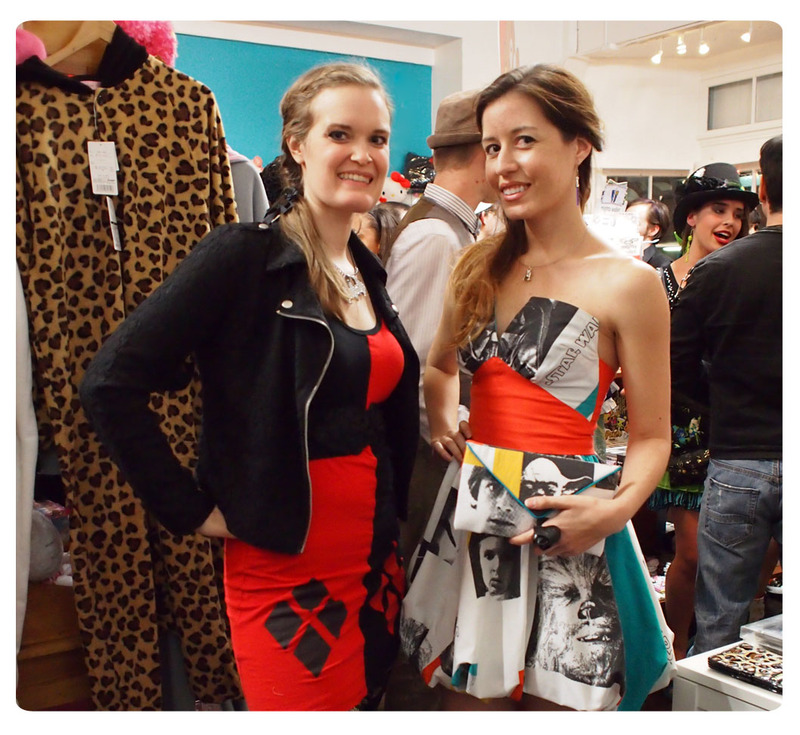 Pin-up DC ladies Iron Fist dress with matching purse. 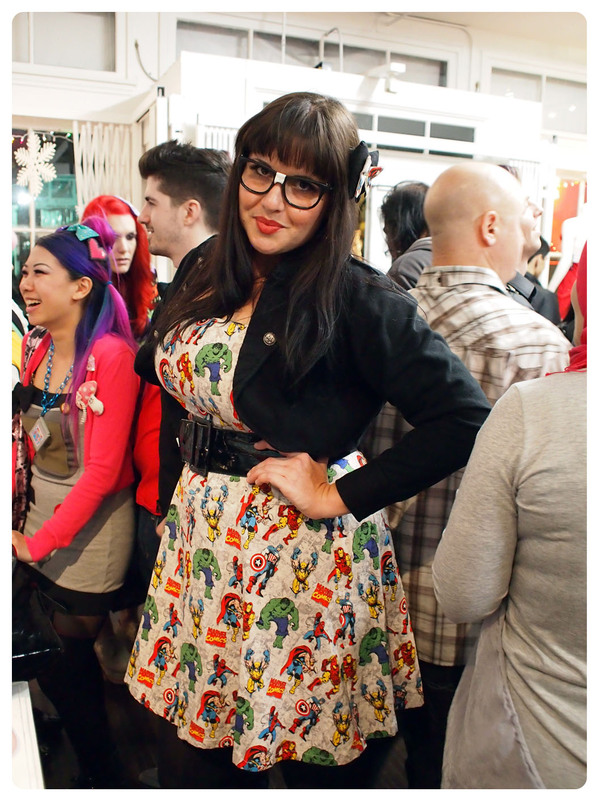 Mandie in the Kapow bodycon dress from Lazy Oaf. Overall we had a really great time, and loved seeing so many geeky gals gathered in once place. If you happen to live in the area, you can still catch the art show through the end of February.